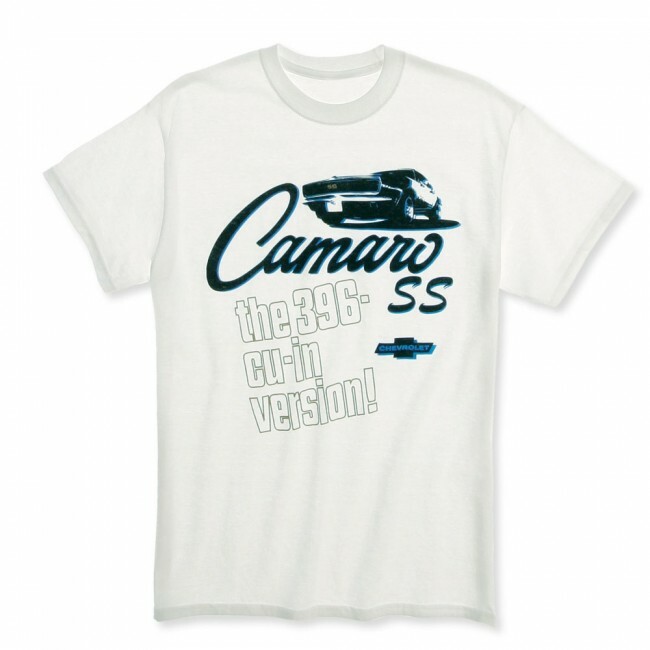 Offset black and blue color graphics of the 1967 Camaro SS - "the 396-cu-in version!" Pre-shrunk 100% cotton. Imported.